Going to university is so much more than just going to class. It’s your chance to build a new community of friends, experiment with things you're interested in, and have fun doing it! With so many opportunities – volunteer placements, student government, leadership conferences – you have a lot to choose from. 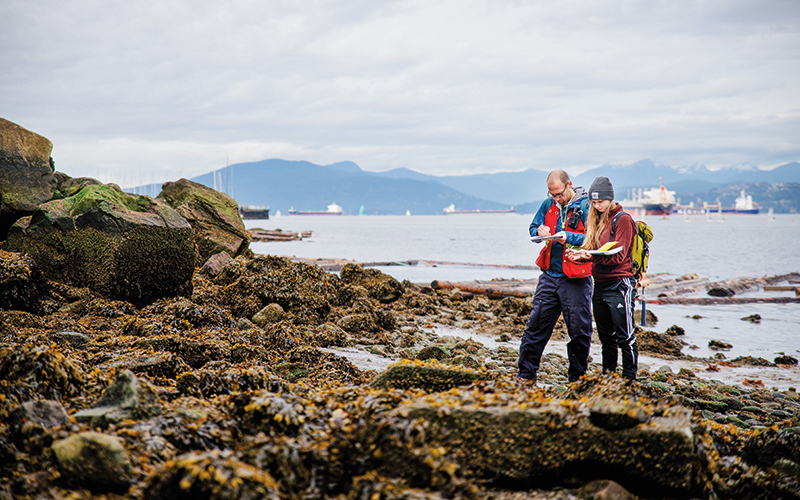 Here are some of the ways you can get involved during your time at UBC. From Rhodes Scholars to Nobel Laureates, Olympians to CEOs, UBC has been educating leaders for over 100 years. Our alumni are passionate change-makers and we are honoured to count Prime Ministers such as Justin Trudeau among our graduates. Awaken the leader in yourself and let your inspiration turn into action. UBC’s student-run leadership conferences are your opportunity to connect with student leaders, engage in peer-to-peer learning experiences, glean wisdom from inspiring keynote speakers such as Rick Hansen, and realize your leadership potential. UBC hosts two annual themed conferences, on the Okanagan campus and on the Vancouver campus. Past speakers have covered topics such as creating meaningful employment; the obligations and responsibility of leadership; and transforming passion into purposeful action. Your student governments – the UBC Students’ Union Okanagan (UBCSUO) and the Alma Mater Society (AMS) on the Vancouver campus – strive to improve the quality of your educational, social, and personal life at UBC. Join the UBCSUO or AMS to help throw epic parties on campus, advocate for more transit options, or just meet new people. Your student governments have paid positions, offer volunteer work, and if you’re looking for more leadership opportunities, you can run in their annual elections for a spot on the student council. Use what you’ve learned in the classroom and develop new skills through volunteer opportunities on campus, in the community, or abroad. Not only will you be lending a hand to a good cause, but you’ll be gaining valuable experience that you can use after you graduate. UBC can help match you with a volunteer opportunity that suits your personal and career goals through Student Services on the Okanagan campus or AMS Connect on the Vancouver campus. Community Service Learning programs on the Okanagan campus and on the Vancouver campus allow students to connect with the surrounding community, have an impact on social issues, and in some cases, fulfill academic course requirements at the same time. No matter what your reasons are for wanting to volunteer, these community-engaged learning experiences offer hands-on, immersive experiences that could define your university career. If you study abroad with UBC’s Go Global program, you can become a Go Global Ambassador on the Okanagan campus or a Go Global Student Leader on the Vancouver campus to share your knowledge and experience with other UBC students. You’ll take part in two Pre-Departure Learning Conferences to help prepare outgoing exchange students for their international experience, plus you’ll get to develop and lead a workshop that focuses on one of three themes: health and wellness, intercultural understanding, or career development. As part of your role, you’ll receive training on how to present and talk about your study abroad experiences in a compelling and relevant way, and you’ll be able to participate in ongoing professional development workshops through various departments on campus. Through the Volunteer Program on the Okanagan campus you have access to flexible, practical opportunities that can help you gain valuable career-related work experience. The opportunities range in length and intensity, from helping out with one-day events, to committing yourself to full-year positions. Find out about the more than 300 clubs administered by UBC's student government.